While advertising on the Internet seems to be taking on a one-stop-shop role for everything from publications, news sources and music sharing, one industry won’t go down without a fight: television. U.S. advertisers are expected to increase their spending on TV this year by nearly $2 billion to $66.35 billion, according to forecasts from eMarketer. By 2017, that number is expected to reach $75 billion, an increase of over 14 percent over five years. Comcast (News - Alert) AdDelivery, a cloud-based platform that delivers spot TV ads via Comcast’s 100 Gbps backbone, is now integrated with Mediaocean, an independent advertising technology company that processes more than $130 billion in annual advertising spending. 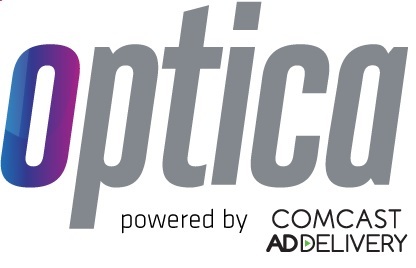 The cross-agency ad management solution, called Mediaocean Optica, integrates the Comcast AdDelivery system with Mediaocean Spectra, a management system for TV planners and buyers. The deal aims to funnel AdDelivery data into Mediaocean’s Spectra systems and automate formerly labor-intensive manual processes. It will help with media teams that decide which ads run on which stations, as well as the creative and trafficking teams that create the ads and work with networks to ensure ads meet the technical specifications of agencies and broadcasters. Combined with Comcast AdDelivery, the system provides access to a partner list of more than 5,500 broadcasters, cable stations and publishers. In addition, it offers ad preview and sharing capabilities, real-time spot and order tracking, the capacity and speed to deliver more than 25,000 video assets daily and full production services. Comcast AdDelivery was built for advertisers to make the process of digital advertising simple, fast and reliable. The cloud-based platform means there is no hardware to install or maintain, just a Web portal to access. It features customizable XML, spot review and approval tools and Comcast’s 40G fiber optic distribution network. Comcast AdDelivery delivers TV spots electronically to 98 percent of all media destinations in the U.S., including local and national broadcast stations, national cable networks and syndicators. Mediaocean has more than 80,000 users and conducts about seven million transactions daily.